Hazardous waste has properties that make it dangerous or capable of having a harmful effect on human health or the environment because it is generated from many sources and comes in many forms: liquids, solids, gases and sludges. It is going to take a herculean effort, along with the willingness to invest in the development of new hazardous waste treatment technologies. The Global Waste Market is set to reach USD 484.9 billion by 2025 (Research Cosmos). Consequently, the need for ongoing development and optimization of innovative waste reduction and conversion technologies is becoming imperative. This need is driven by steady population growth that requires a consistent rise in urbanization, which has prioritized the utmost importance of reduce, reuse, recycle, composting, circular economy, zero waste-to-landfills, waste-to-energy facilities and treatment of the ever-menacing hazardous waste to recyclable non-hazardous waste. These waste reduction actions are vital to the waste management industries to help relieve the critical decrease in landfill space and persistent increase in landfill tipping fees and, most importantly, the unrelenting environmental concerns. My son Marco is dedicated to computer science, coding, and loves building robots and participating in robotic competitions. Twice per year he has parent/teacher conferences. At the last conference Marco’s house teacher, Mr. Campbell, Head of the Computer Science Program, discussed the improvements of the computer. Mr. Campbell said in terms of child conception, birth and raising of a child, computers are in their infancy. My mouth dropped open. I could not believe what Mr. Campbell said about the progression of computers. Then I thought about it, He was right, we are in the infancy of the progression of the computer and of robotics as well. Now you may be wondering what this has to do with waste and recycling? Let’s put it in the same context as child conception, birth and raising. The fact is, to improve operations, computers and robots are being used more and more in the waste and recycling industries. Let’s weigh it out like this, if the use of computers is in its infancy, then computers, robots and especially waste conversion technologies are in today’s waste industry one month into conception, but the conversion of the ever-menacing hazardous waste to a recyclable and reusable end product is a long way off from actual conception. Computers and robots improve waste operations by the separation of recyclables, but do not do a lot when it involves waste conversion, even though the waste industry is constantly working to find ways to mitigate reoccurring waste by encouraging waste generators to manufacture returnable, reusable, non-disposable end products. This is similar to the bottle deposit and return system, but more in line with when the milk man used to leave full milk bottles in the milk box outside your back door and took back the empty milk bottles from the same box for sterilizing and refilling (circular economy). Also, gone are the days when your local garbage collector picked up your unsegregated garbage and brought it to the local unregulated town dump. Today, the waste industry is processing more waste yearly than ever before, putting landfilling municipal solid waste in a crisis. Landfills are becoming over capacitated and are facing the never-ending difficulty of acquiring new landfill permits. The waste industry is crying out to individuals, businesses, industries and municipalities to find means to minimize landfilling. Although we are slowly, but progressively, working to deal with keeping wastes out of the landfill by waste reduction that should start onsite, whether it be in a home, a business or a manufacturing facility; from there it progresses to the transfer station for further separation, reduction and to salvage recyclables. The unrecyclable, unsalvageable materials will be sent to the waste-to-energy facility, and, ultimately, the residual waste from all the unsalvageable waste end products will finally be landfilled. The steps taken—onsite, transfer station and waste to energy—as we all understand, are to minimize waste to the landfill and salvage as many recyclables as possible. But what about the elimination of hazardous wastes? There are carcinogenic materials that often become news when we are inadvertently exposed to them, but there are no discussions about minimizing or eliminating these deadly hazardous materials from our environment. We are reminded daily of the importance of recycling paper, of recycling or, if possible, eliminating the use of plastics, eliminating the use of Styrofoam, and the importance of composting and the salvaging of metals. But nothing is said about how to address the most newsworthy of carcinogenic materials. Examples: The first and most prominent, Asbestos, the ubiquitous cancer-causing mineral is newsworthy every time it is exposed to our environment. There have been recent claims that asbestos has been found in some of Claire’s makeup products, in Johnson and Johnson baby powder, or every time there is a Con Edison steam pipe explosion in New York City that spews asbestos all over the adjacent neighborhood. Law firms spend millions of dollars on advertisements touting that they can get you money if you have been exposed to asbestos and have contracted Asbestosis or the deadly lung cancer, Mesothelioma. The debilitating exposure to lead contamination in water, soil, air and paint is the second most newsworthy with soil contamination being the third. For some reason the waste industry is missing the important health benefits and cost savings of permanently eliminating hazardous wastes from the landfill. Asbestos permeates our environment. Its carcinogenic properties have caused the well published incurable, deadly cancer illnesses caused by asbestos exposure. Thermal and non-thermal asbestos destruction methods have surfaced during the last 40 years. The thermal processes were first to come into use, but because by their very nature are large, making them difficult to place on small to medium asbestos abatement sites. When asbestos is treated through a thermal process, the asbestos end product must cool down before it can be tested to be asbestos free. If the treated batch of asbestos proves positive, still containing asbestos, no matter how small the amount of asbestos detected, the whole batch must be put back through the furnace. The non-thermal asbestos treatment process provides more flexibility because of its equipment size options and modular/mobile components. Also, because asbestos is treated non-thermally, no asbestos leaves the process without being fully destroyed to a non-asbestos end product. 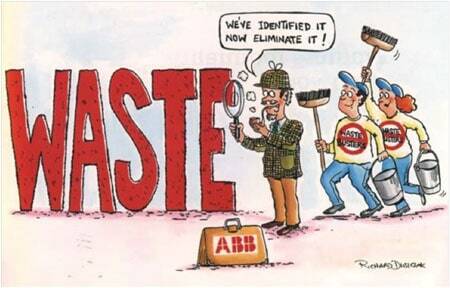 Both thermal and non-thermal asbestos treatment processes have advantages over other off and onsite hazardous waste treatment processes: the hazardous asbestos is completely destroyed; the end product can be recycled and does not have to be sent to a hazardous waste landfill with individual cells permitted for asbestos disposal or sent to a Subtitle C landfill. The most important advantages in using these processes or any hazardous waste conversion processes is the elimination of future liability. Lead contaminated water would only be able to be treated onsite if there is a water treatment facility on the site where the lead water was generated; if not, then the lead contaminated water will have to be sent to the municipal water treatment facility. In either case, the end product sludge will be sent to a hazardous waste Subtitle C landfill. There is no current onsite treatment for lead-based paint. Offsite incineration is the only treatment for it. Lead contaminated waste has multiple options for landfilling. For example, if it is below a 5 mg/l lead-based paint, it can be sent to a construction and demolition landfill, commercial landfill or a residential landfill. If it is above 5mg/l, it must be sent to a Subtitle C landfill. Hazardous contaminated soil can be treated onsite in several ways: treatment with a chemical/physical process that transforms the toxin in the soil to a non-toxic material, anaerobic digestion, blending it with clean soil, i.e. dilution of the contaminant below permissible limits, onsite incineration, and the simplest, cheapest and most used—encapsulating or covering the contaminated site. The latter option, encapsulating or covering the contaminated site is the cheapest in the short haul, but the most expensive in the long haul, because a hazardous waste Subtitle C landfill closure requires constant monitoring and ongoing, unpredictable costs for a period of 30 plus years. Transfer stations do not except hazardous waste, infectious medical waste, explosives, radioactive materials, fuel tanks, asbestos, liquids and sludges, and dust-prone wastes. Hazardous waste has properties that make it dangerous or capable of having a harmful effect on human health or the environment, because it is generated from many sources and comes in many forms: liquids, solids, gases and sludges. It is going to take a herculean effort along with the willingness to invest in the development of new hazardous waste treatment technologies or the willingness to spend a little more to use existing hazardous waste treatment technologies to keep hazards out of a Subtitle C landfill. • Surety Bond in one of two forms: Payment Bond that guarantees if the owner/operator fails to pay for closure and post-closure, the surety company will pay the costs into the standby trust fund or Performance Bond that guarantees if the owner/operator fails to perform required closure and post-closure care activities, the surety company will either perform the required activities or pay sufficient funds into the standby trust fund. • Irrevocable standby letter of credit from an institution that has the authority to issue such letters. The letter of credit must be equal to the amount of the cost estimate and must be increased whenever the closure cost estimate increases or if the owner/operator fails to meet its closure/post-closure care obligations. • Insurance Policy at least equal to the cost estimate for closure and post-closure expenses. The face amount must be increased annually and any other time the estimated cost of cleanup increases. As explained above, hazardous waste is costly to landfill. It forewarns an unreliable and unpredictable future for our environment and our health. We may not realize it today, but we must create or find technologies similar to medicines that stop the spread of disease. We must stop hazardous waste before it leaves its site. A friend of mine uses an expression: Pay Me Now or Pay Me Later, but you have to pay. When this expression is applied to describe hazardous waste stored in a Subtitle C Landfill, it becomes: Pay Me Now or Pay Me Through Perpetuity. Tony Nocito is Managing Member of ABCOV Companies, LLC (New York, NY) and other related companies that provide commercially available services for the non-thermal, EPA approved ABCOV® Method of asbestos destruction and conversion to a non-toxic material and the non-thermal process that converts Hexavalent Chromium in soil to the nontoxic Trivalent Chromium in soil and the non-thermal process that reduces overburden and off-specification fiberglass blow, batt and other manufactured fiberglass insulation to 10 percent of their original volume. He markets and provides these services through his companies. Tony can be reached at (212) 571-9125, via e-mail at tony@abcov.com or visit www.abcov.com.